This book integrates findings from across domains in performance psychology to focus on core research on what influences peak and non-peak performance. The book explores basic and applied research identifying cognition-action interactions, perception-cognition interactions, emotion-cognition interactions, and perception-action interactions. 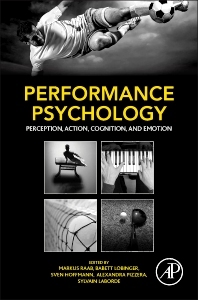 The book explores performance in sports, music, and the arts both for individuals and teams/groups, looking at the influence of cognition, perception, personality, motivation and drive, attention, stress, coaching, and age. This comprehensive work includes contributions from the US, UK, Canada, Germany, and Australia. Section A. What is Performance Psychology? How Does Perception Affect Action? How Does Action Affect Perception? Cortisol—What Is It and What Does It Do?